profile as (in progress) as the first milestone was already paid by client. 2. Yes and No. Long term relationships with the same client count positively, but it does not matter if that is across one contract or several, the long term client relationship counts as a positive factor. That said, more contracts that end well can obviously be a good factor. 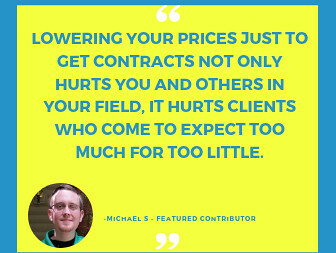 That said, you need to stop concentrating on how to manipulate the system and concentrate on choosing and managing your clients and contracts instead. 1) Upwork has never provided public information that indicates milestone payments have any effect on a freelancer's Job Success Score. 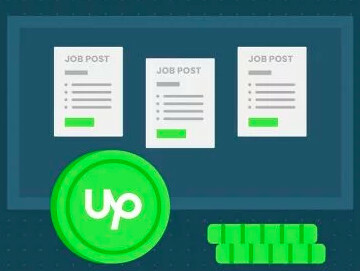 2) Upwork has also never provided any public information that indicates the monetary value or time span of a project has an effect on the weighting of the client's feedback on the freelancer's overall Job Success Score. There are posters on this message board who apparently have access to more information about the JSS than is generally available in the public domain, so I am sure they will let you know if there is anything to add to these responses. They actually have. The above is untrue. There are posters on this message board who apparently have access to more information about the JSS than is generally available in the public domain. No, there are not. And if there are, they won't be able to share such things. There are, however, people who remember stuff that was said / written etc and know where to find things some others probably can't be bothered to think about, remember, or find. There is no need to constantly knit some elaborate conspiracy theory or to interogate people how they know what they know. Others don't question why you don't know what you don't know, so maybe lay off your constant questioning how people know what they do know. Usually they just pay attention, remember, and analyze. No conspiracy theory, no insider knowledge, no magic. 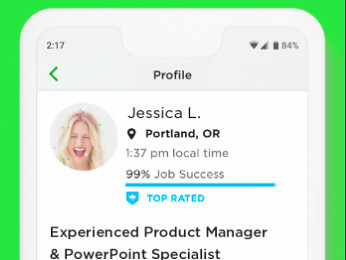 If someone claims to know something important that Upwork has not stated publicly, they should be happy to tell us how they know what they know. For such a purposely opaque system, it is always interesting to have people tell us they know things that are not clearly stated by Upwork in the public domain. If they choose not to share, then it's up to each freelancer to just follow the uncorroborated information they have faith in. Why would I have to spend my time finding the places where Upwork have repeatedly stated and confirmed that long term active client relationships count as a positive factor towards the JSS, just because you (amazingly) don't know? Let alone "be happy" to do your legwork for you? Things are indeed stated in the public domain or can easily found if one knows and can be bothered to find out where and how to look. If you don't know where to look or can't be bothered to do so, that is on you. Maybe you just don't want to because you are so in love with your "JSS is totally mystical and nobody can understand any part of it" myth. There are other things you can just see if you look closely and understand what you are looking at. If someone sits on a blue chair and everyone can (or could, if they looked properly) see that they sit on a blue chair it does not require them signing a sworn statement to ascertain that they are sitting on a blue chair. They just do. So much for your categorical "Upwork has never..."
That's a good find, Petra. Thank you for enlightening us all on how the JSS works in this respect. Maybe somebody should pay her a bonus for doing the spadework. Na, if they paid me, I'd have to toe the party line and it would be no fun at all.